I'm honored to be back on KTLA for a 4th time this coming Monday at 3pm to showcase my new Valentine’s Day treats! Tune in during my segment between 3:30–3:45pm, as I chat on the Afternoon News about how Albert’s Petite Sweets can make Valentine’s Day extra special! Watch for an exclusive promo code that will be revealed during the broadcast, good for a discount on all of Valentine’s Day products sold here at albertspetitesweets.com. On Monday February 4, 2018, I was invited back to KTLA for an interview about my company and to share my latest creations for Valentine's Day. Watch the video at KTLA.com. As a special treat for KTLA viewers, order any Valentine's Day arrangements and use the promo code KTLA for 10% off. Supplies are limited, so order your Valentine's Day gifts today. Thank you so much KTLA, Lu and Glen for an amazing interview and sharing my passion! Holiday Desserts with KTLA & Albert's Petite Sweets! I was invited to appear on KTLA Morning News on Wednesday, December 20, 2017! 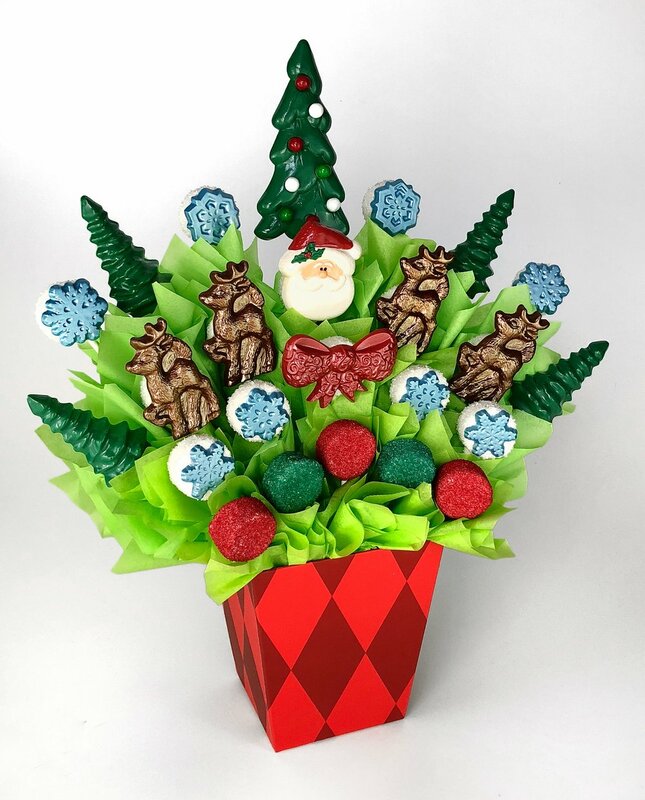 I was happy to showcase my holiday cake pops and Grande Sweets Pillar on live TV! Watch my appearance on KTLA.com. Our Holiday Delivery Schedule - Order early to get your gifts on time! Wednesday, December 21: Last pick-up day at 25604 Narbonne Avenue, Lomita CA. Shop our holiday gifts today! Albert’s Petite Sweets was featured this morning on KTLA! 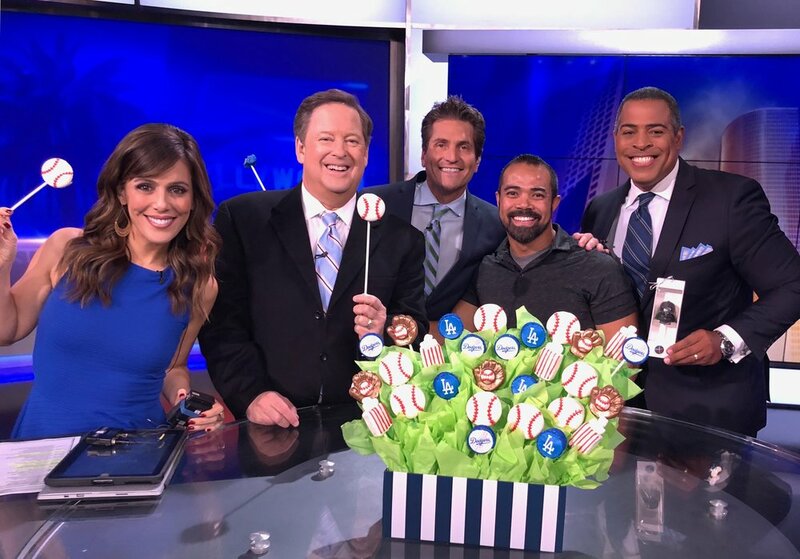 For the morning broadcast, I created a Dodgers-themed cake pop arrangement to help cheer on the Dodgers in the World Series. For a limited time, Dodgers Cake Pops are available to order on my website! Check out my selection here. To order your custom cake pops for any theme, contact me at Albertspetitesweets.com. Join Alberts Petite Sweets at our Easter Pop-up Shop at Equinox South Bay (5400 Rosencrans Ave., Hawthorne CA) next Tuesday, April 11th from 5-8pm. Shop our entire line of Easter gifts directly from Chef Albert Daniel. If you already ordered, you can also pick-up here during the show. Browse all of our Easter gifts here and order today!